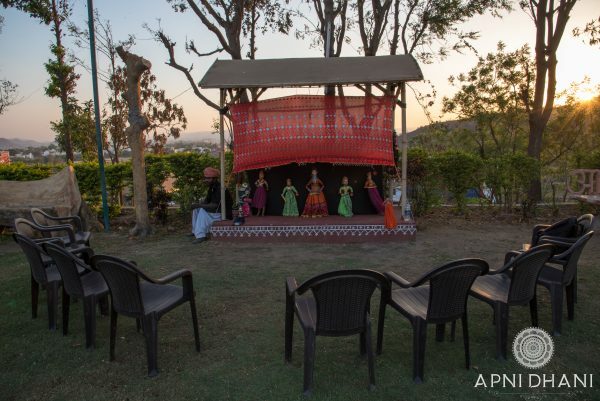 Sprouted about 20 years back, Apni Dhani- Swad Rajasthan Ro (a unit of Lalbagh Hotels) is a Rajasthani Retreat for the people of Udaipur. 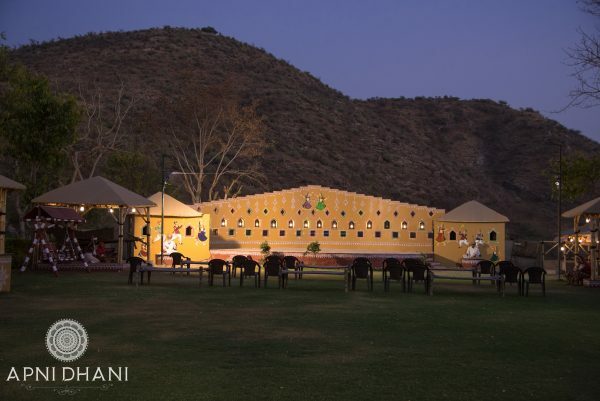 The royal grandeur of the Dhani extends its majesty on a peaceful hillock. 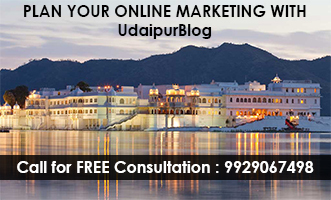 The place offers the generic taste of the core Rajasthani dishes as the menu is unique to Rajasthan. 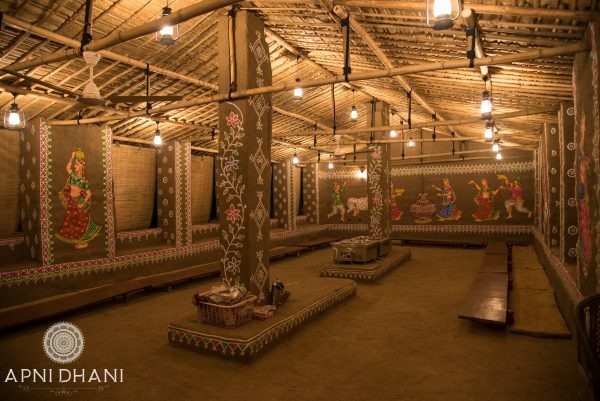 One can easily experience the feel of a ‘Dhani’ here, which is a small accumulation of huts. 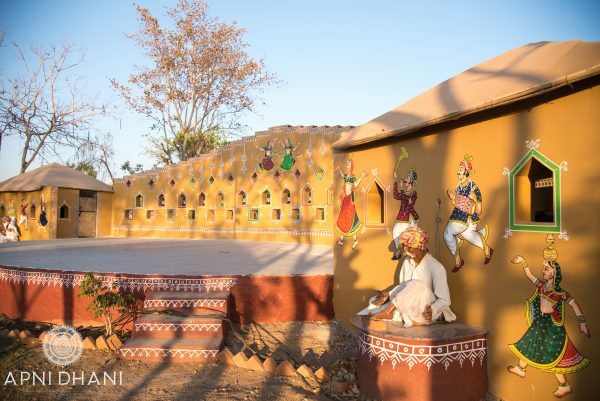 Rajasthan village culture is revived at Apni Dhani. 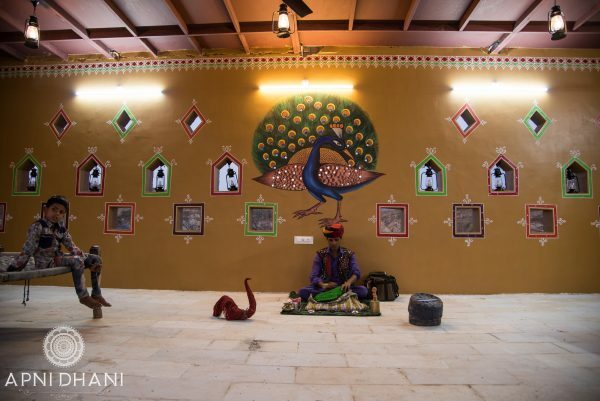 Apni Dhani houses a lot of fun and entertainment for its guests. 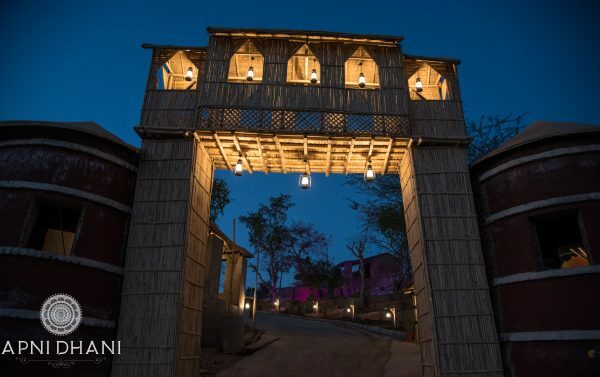 The recreational activities for the visitors include games, shopping, magic show and camel ride. 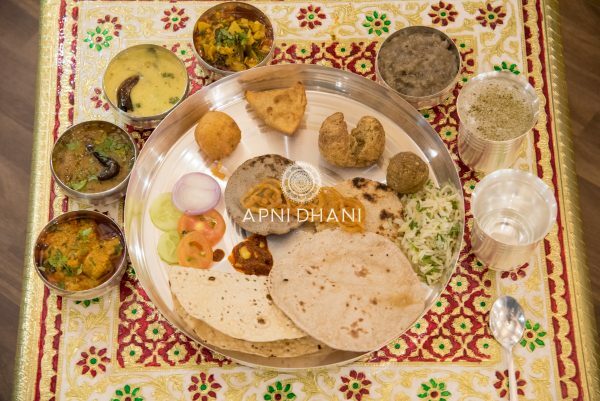 A fully fledged Rajasthani diet is served to the guests; the meal consists of the famous ‘Dal Baati’ with an eclectic vegetarian cuisine and desserts. 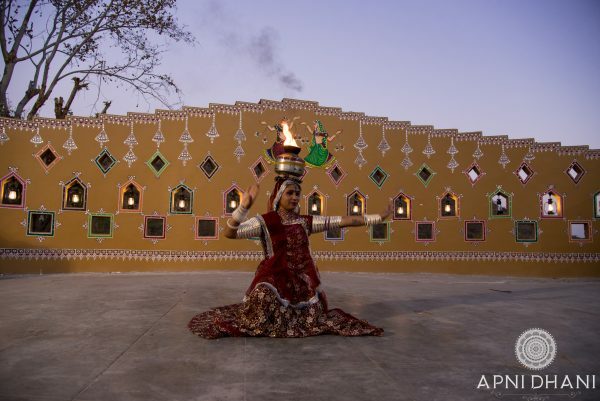 Accompanying the traditional Rajasthani Kalbeliya and Ghoomar dance is quite a captivating sight for the guests. 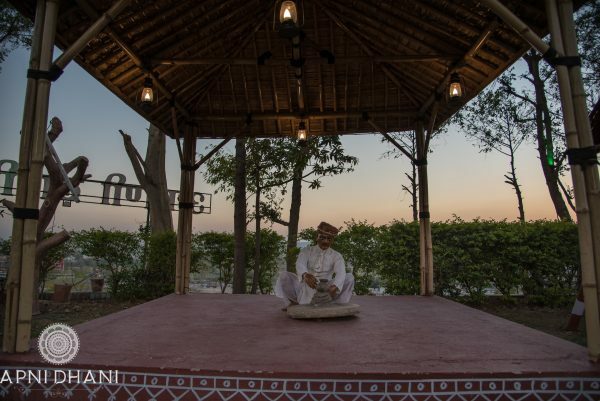 The guests are welcomed by garlanding them and putting a ‘Tilak’ on their foreheads. 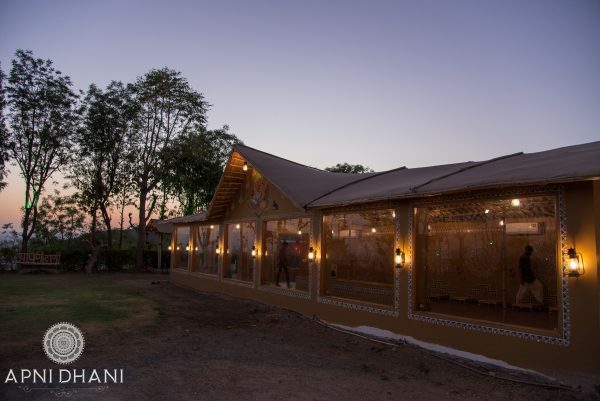 The food and beverages are distinctive of the Mewari touch and are served in silver lined ‘Thaalis’ which are peculiar to the state. 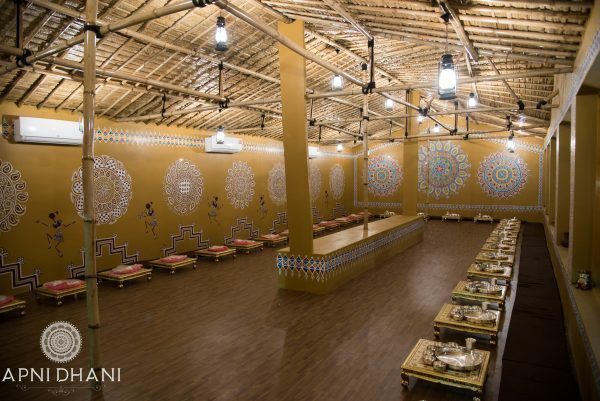 The place is also available for private parties and weddings. 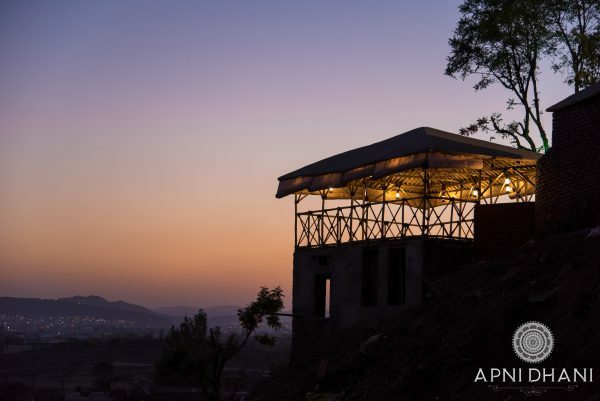 The beautiful Aravali ranges are an add-on to the exquisiteness of Apni Dhani. 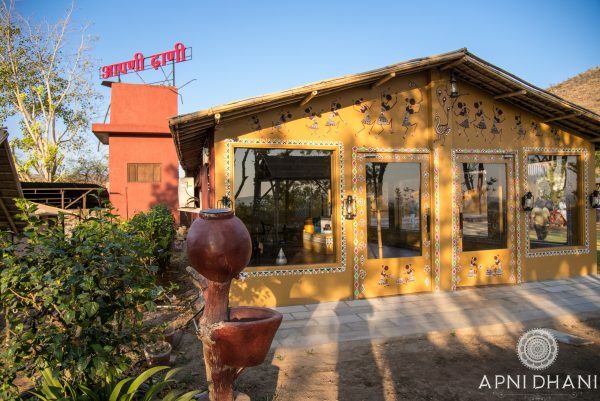 The ‘Apni Dhani’ carries the essence of the Rajasthani culture and heritage and is a pleasant place to hang out with your family and friends amidst the beautiful Hills.